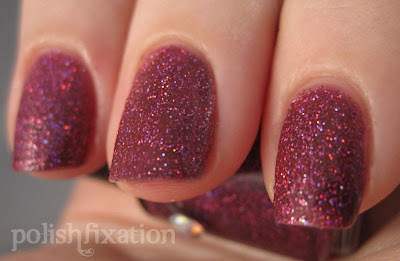 polish fixation: Girly Bits Nail Polish! 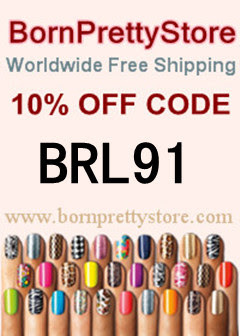 Have you guys heard about the new polish line called Girly Bits? If not, please keep reading and you'll be happy you did! Girly Bits is a new nail polish brand, made by Pam of the blog by the same name. Her first polish set is called "Sea's The Day" and it's amazing! That's what I am sharing with you today. 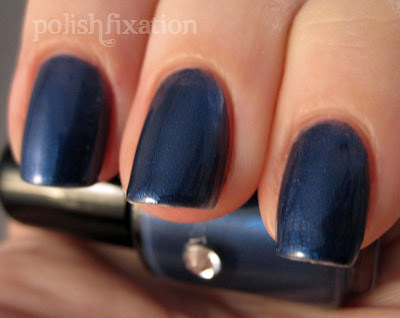 Denim Diva - A deep shimmery blue. Two coats pictured. I really love this shade of blue, it's perfect! Sailor's Delight - A very intense jelly red/orange with an amazing shimmer. I really wish I could have captured this better because this does it no justice at all! Everything was perfect about this polish! Stormy Skies - A teal leaning gray with microglitter. It really does remind me of the sky on a stormy day. Another 2-coater. Purple Potion - Ahhhh glitter! Just 2 coats and it's gorgeous! I think the picture says it all for this one, it's so much more amazing in person though, so you'll have to place an order to see what I mean! Love!!!! Razzle Dazzle - Another 2-coat beautiful sparkly polish. Pam's polish formula is so easy to work with and it isn't thick or sticky, which is a huge plus in my book. So pretty! In the swatch above, the first one is over black, then over a few other colors (which I am sorry I don't remember all of them now! Oops!). But as you can see, it's amazing! It is definitely meant as a top coat and you can have fun picking different things to layer it over for different effects. I have seen pictures of upcoming Girly Bits shades as well and they are so pretty and unique! I can't wait to see what else Pam comes up with. street magic ftw! these are pretty colors esp stormy skies and purple potion! I love how sparkly they are! But the blue is my favorite! Wow these are great- I really love Stormie Skies! Thanks for posting the lovely swatches Erika, and for placing an order. the glitters are gorgeous and look very unique, street magic as well. I am loving those last three!